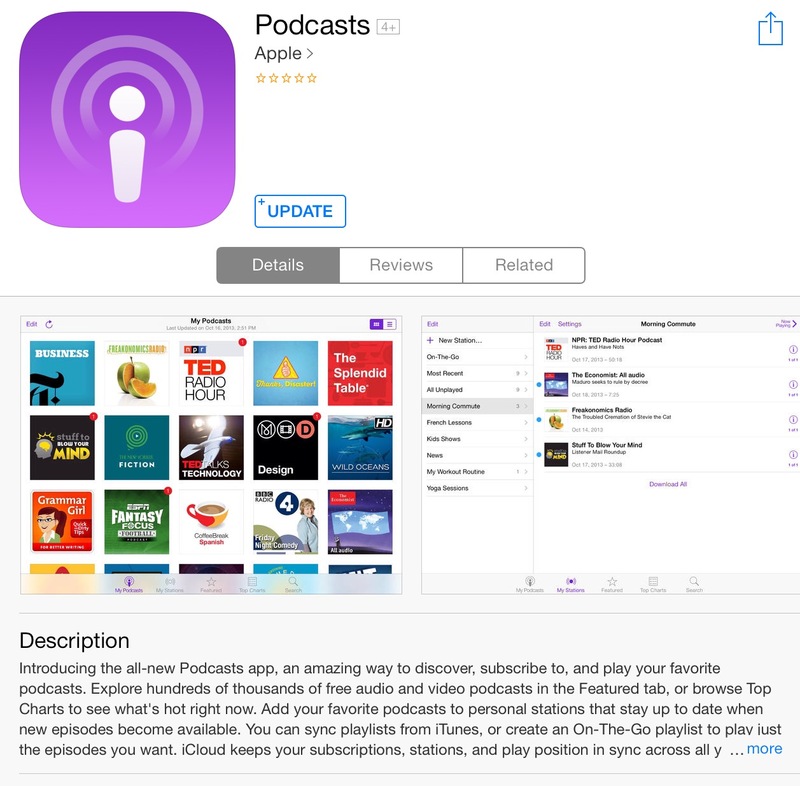 Find My Friends, Podcasts, and iTunes Trailers have all been updated today with a new iOS 7 look and feel. The new apps feature iOS 7’s opacity, clarity, and ultra minimalism. New icons have also been released with the icons. iBooks still hasn’t been updated…how strange? Hope to see it within the next week or so! This entry was posted in Apple, iOS and tagged App Store, Find My Friends, iOS, iOS 7, iPhone, ITunes, Podcast, Podcasts. Bookmark the permalink.